CommonSenseLiving.com believes that your privacy is important. We do not sell our subscriber lists. The following describes the Anti-Spam Policy for CommonSenseLiving.com. I barely have the time to send you the email that I’m supposed to send you, let alone a bunch of Spam. Spam is unsolicited email, also known as junk mail (received via email), or UCE (Unsolicited Commercial Email). Virtually all of us have opened the inbox of an email account and found emails from an unknown sender. By sending email only to those who have requested to receive it, we at Common Sense Living are following accepted permission-based email guidelines. They exist. However, as with any body of laws, any individual State spam statutes can and will vary. The spam laws of each State can not only vary, but also have different definitions of unsolicited commercial email. Additionally, there may be various federal agencies keeping track of spam, including the Federal Trade Commission (FTC). At the Federal level, the CAN-SPAM Act of 2003 promulgates some attempt at a coherent and unified approach to unsolicited commercial email. Ultimately, it would be difficult to enforce spam law violations on any consistent or pervasive basis, so your own vigilance is your own best first line of defense. Beyond that, we protect you by ensuring that you are 100% in control of whether or not you ever hear from CommonSenseLiving.com by email initially or in the future, as detailed in our “No Tolerance” policy below. 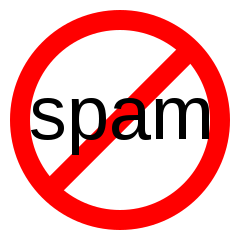 WE HAVE A NO TOLERANCE SPAM POLICY. We do not email unless someone has filled out an “opt in” form or “webform” expressing an interest in our information or products and/or services, or otherwise directly and proactively requesting it. News of the features and benefits of Membership is spread through advertising, joint venture marketing, and word of mouth, so we are only building relationship with folks who wish to learn more about what we have to offer and willingly subscribe to our content and contact through email. You are always completely in control of whether you receive email communication from CommonSenseLiving.com, and can terminate at any time. NOTE – Every auto-generated email contains a mandatory unsubscribe link that cannot be removed. Therefore, each communication generated by CommonSenseLiving.com carries with it the option to “unsubscribe” and never receive another email communication from Common Sense Living. CHANGE NOTICE: As with any of our administrative and legal notice pages, the contents of this page can and will change over time. Accordingly, this page could read differently as of your very next visit. These changes are necessitated, and carried out by CommonSenseLiving.com, in order to protect you and our YOURURL website. If this page is important to you, you should check back frequently as no other notice of changed content will be provided either before or after the change takes effect. COPYRIGHT WARNING: The legal notices and administrative pages on this website, including this one, have been diligently drafted by an attorney. We at CommonSenseLiving.com have paid to license the use of these legal notices and administrative pages on CommonSenseLiving.com for your protection and ours. This material may not be used in any way for any reason and unauthorized use is policed via Copyscape to detect violators. Your privacy is important to us at CommonSenseLiving.com. To better protect your privacy we provide this notice explaining our online information practices and the choices you can make about the way your information is collected and used. You agree to agree to these policies by virtue of using our website in a way that leads to you providing us with personal information. Other information may be collected as well by CommonSenseLiving.com, which is rather typical of most websites. For instance, the source that referred you to our website is generally known. Likewise, your duration on our website, and your destination when you leave our website can also be tracked. Other common data collected includes the type of operating system the computer you are using to access our website has. Similarly, the type of web browser is often noted. Again, this is common data collection, and helps ultimately produce a better end-user experience. A prime example of limited access to our website is where some CommonSenseLiving.com content may be protected by a username and password. Whether a username and password is generated by our website, or created by you, these will almost always be connected with some other information related to or connected with you. This is true since much content that is protected on the internet is subscription based, often paid for. Thus, the username and password must necessarily be tied to your other account data. Usernames and passwords, by their very nature, should be kept private. While we are staunch privacy advocates at CommonSenseLiving.com, there are times when even we may be forced to abandon these ideals. Just as major search engines face ongoing compulsion to provide data against their will, so too may the same occur with CommonSenseLiving.com. Illegal activity or other serious acts or allegations could create legal liability for our website. In those cases, we reserve the right to share your information, or else may simply be compelled to do so by law. On the other hand, there may be times when we would need to share your private information in order to protect our own interests. For instance, in cases of suspected or alleged copyright infringement or other intellectual property violations, it may be necessary to share personal information.